A decent quality speaker is a must-have gadget for both die hard fans of music and those of us who just occasionally like to rock out when nobody is looking. However, sometime you just can't decide on the track to play from your phone, or what video to watch on YouTube – that's where the radio still has its place. 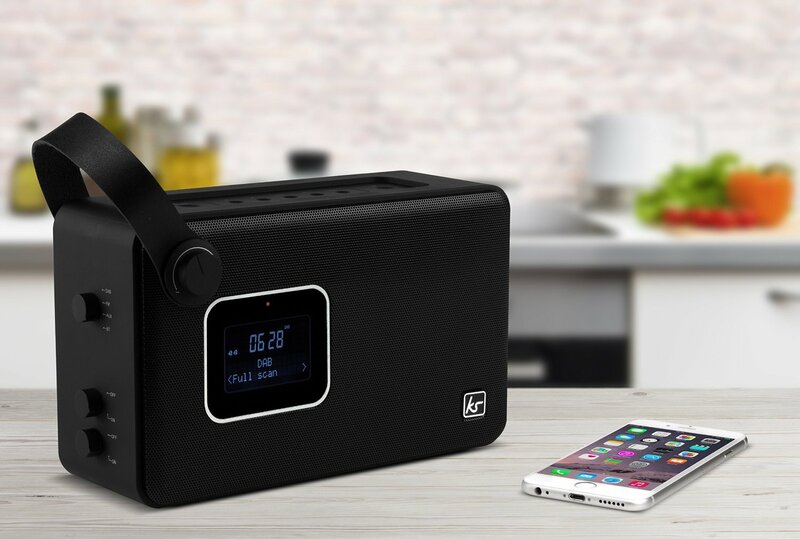 Combining your musical and general sound-loving tastes in one product, the Kitsound Air is a Bluetooth speaker AND a DAB digital radio. We check it out. The Air by Kitsound is a neatly packaged speaker that combines lots of useful features into one product, namely the ability to wirelessly stream music from your mobile devices, while also acting like a radio. The styling of the speaker itself is certainly pretty classic, appearing more like an older fashioned radio than a modern Bluetooth product. There is a carry loop on one side to help you lug it around, and as you might have guessed it features a built-in rechargeable battery which offers up to six hours of continuous play time. First up, the Bluetooth functions. Pairing a mobile device to the Kitsound Air is as easy as it should be, and we found that the usable maximum range was around 12 metres. As well as being powered by battery, the Air also includes a proper plug (and an EU version, which is nice) meaning that if you wanted to just set it up as the main static speaker in a room you can, and not have to worry about power. The speaker itself pumps out sounds at 5W, which is more than enough to fill a room. Highs and lows are pretty decent, and we found that even at a higher volumes the Kitsound Air kept the tunes free of awful distortion. The radio functions are nicely handled by the bright and clear LCD screen on the front of the Air. Selecting between DAB and FM is done by way of a chunky retro knob on the side of the unit, then you can cycle through the airwaves using the topside controls. Channels can be programmed to easily find them again, and the Air is DAB+ enabled, so you know it won't be obsolete in five years time. Again, the quality of sound is very good, and the vocals of most radio announcers that we heard were impressively deep and resonating. THIS IS THE BBC. 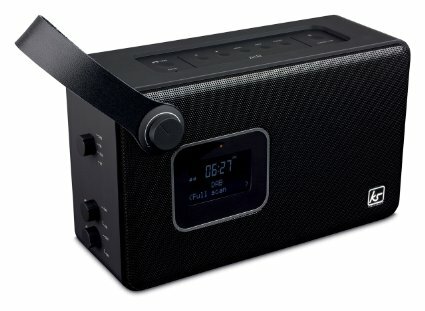 Oh, and the Kitsound Air also has an alarm clock function, allowing you to set your favourite radio station to gently come on in the morning to wake you up. So that,coupled with the light weight and that included EU plug, makes it a great travel speaker. 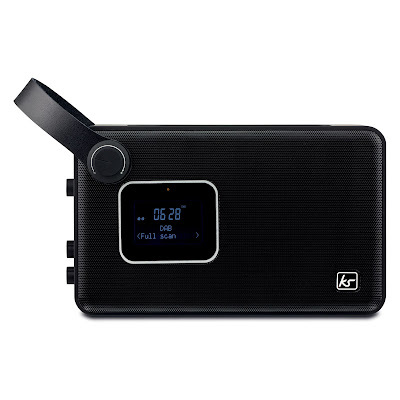 The Kitsound Air is a very useful bit of kit, presenting not just your own selection tracks vis Bluetooth, but also all the thousands of digital radio radio stations too. All that, and it looks damn fine to boot.